Soup isn’t always just soup. In Portugal it is a tradition that is passed on from generation to generation. The traditional Portuguese soup recipe calls for 1 cup vegetable oil, 2 cups chopped onion, 2 bay leaves, 1 pound smoked sausage, sliced, 1 medium head cabbage, chopped, 6 potatoes, peeled and cubed, 2 cans kidney beans, 1 can beef consommé, 2 2/3 quarts water, 2 teaspoons garlic powder, 2 teaspoons ground black pepper, 1 teaspoon salt, 1/2 cup vinegar, 1/4 pounds potatoes, scrubbed and diced, 3 tablespoons butter, and warm crusty bread. To prepare, place a large pot over medium flame and cook onions and potatoes, until tender, then add sausage and cook for 5 minutes. Next add water, bay leaves, cabbage, beans, consommé, garlic, powder, pepper, and salt and bring to a boil. Lower flame and simmer for between 30 and 45 minutes. Add vinegar and more continue to simmer for an hour. 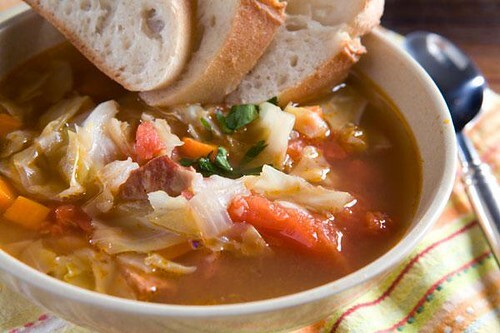 Serve soup with warm bread. This recipe can be used with kale instead of cabbage, garbanzo beans or chick peas instead of kidney beans, and chourico instead of smoked sausage.